Where do I go to sign up for the free child care that I’m entitled to? Like everyone else, members of the military community must pay for their own child care. However, I know the child care on Army posts do offer certain types of discounts and freebies for family members of deployed service members that are worth looking into. My husband failed the promotion board, but was promoted anyway and now his command is trying to take it away from him. The legal office has said nothing can be done but the spouse groups say otherwise..can someone please tell me where to go so I can sue the chain of command for this tragic injustice? 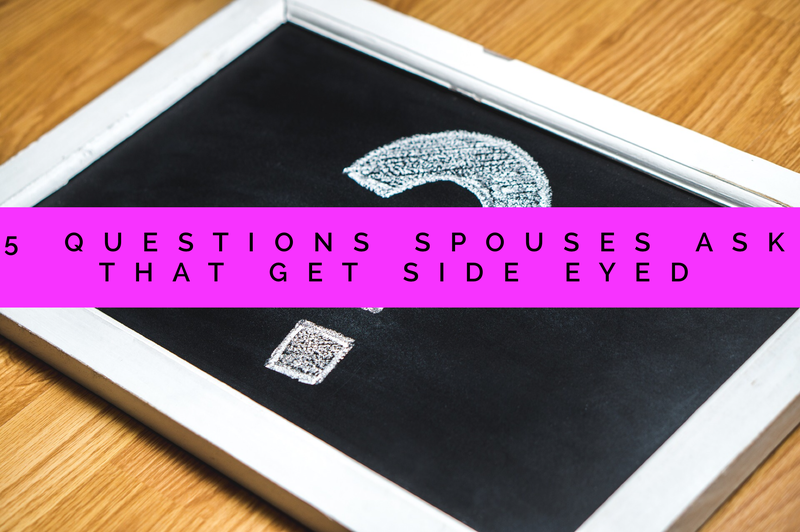 I feel like the biggest downfall of spouse groups is the tremendous amount of misinformation that gets passed around like the last cigarette on a drunken night. You aren’t going to find information more accurate to any situation than what the legal office advises. Is the commissary open today? What are the hours? Can someone go there and send me pictures of the produce section? I’d rather see what the bananas look like before I put pants on. Thanks! This is probably the most asked question on any holiday. While I do understand that people want to know, there are also places like base listings that will offer information such as hours and phone numbers where people can call. I feel like this is one of those loaded questions that will have spouse groups coming for your whole life. Where do I go to file an ICE complaint against my husband’s team leader? My husband had to drive halfway to work in this treacherous snow because his boss didn’t call him before he left the house to let him know work call has been delayed. Okay….the most common misconception that I see being sung from the top of many spouses’s lungs is to “FILE AN ICE COMPLAINT!” The Interactive Customer Evaluation system is not designed to receive grievances from spouses who are annoyed by petty things like this. I’ll now provide you an example of one instance where filing an ICE comment would be necessary. Say you walk into the finance office and the lady at the front desk says, “I’ll be right with you, Hippo. Take a seat and I’ll moo when it’s your turn.” Yeah..you might want to complain about that. I just got a speeding ticket, what do I do? Are there any special military powers that protect family members from police persecution? Nope. You’re going to have to go ahead and take a huge L for this. I’ll even tell you what to do and end all speculation: Follow the directions on the ticket. Novelty idea right? The military is not exempt from the law of the land. I’ve been to traffic court and it was full of service members from Privates to Captains.